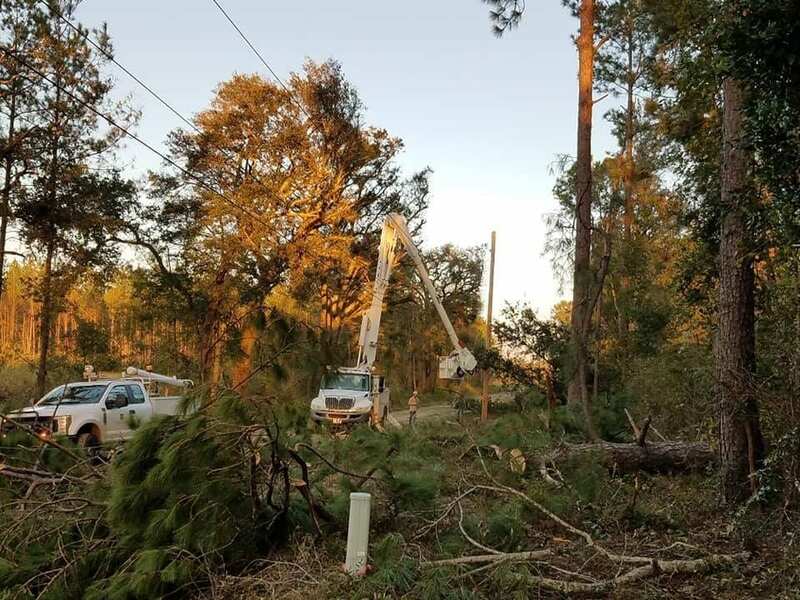 NASHVILLE – More than 180 volunteer lineworkers from 20 electric co-ops across Tennessee are heading to Georgia, Florida and North Carolina to assist with Hurricane Michael recovery efforts. This is the largest storm assistance effort made by Tennessee co-ops in recent years. The dangerous Category 4 hurricane brought strong wind, significant rainfall and widespread power outages to the northern Gulf Coast. Tennessee co-op are assisting with efforts to reconstruct the severely damaged electric infrastructure in the region. The Tennessee Electric Cooperative Association in Nashville coordinates requests for mutual aid and makes travel and lodging arrangements for crews who respond.